This seems like a good moment, as we start the New Year, to reflect on what we’ve learnt during these interesting times, and how those lessons will shape EDF’s work in 2018. Erik Lindebo pointed to climate change as a ‘new frontier in fisheries management’, and he wasn’t wrong. This year we worked with ICES to host an international expert workshop on the potential impacts of climate change on Europe’s flagship fisheries in the North East Atlantic region, and to signpost ways forward for adapting to those impacts. We will shortly be releasing a report on our workshop’s takeaways, but to give you a preview: they point to a need for significant shifts in how we gather and apply science in the region, how science and policy interact, and how governance and institutions might be better equipped to ensure international collaboration and avert potential conflicts over shared fishery resources. This is an issue that is intensifying year on year, and one that will require international innovation and cooperation to avert the full impacts of the science, governance and management challenges identified. Crucially, the workshop participants concluded that the tools needed to tackle the big issues on the horizon already exist, but need to be deployed effectively. Can we adapt to climate change? Yes. Will we? This is what we’ll be working on in 2018 and beyond. The calendar has changed but the goals stay the same. Political tides may turn, but our work in Sweden, Spain, Portugal, Brussels and the UK in 2017 has shown us that those invested in a sustainable future for Europe’s fisheries – and fishing communities are key on that list – aren’t relaxing their ambitions. European Member States continue working hard towards full implementation of the Landing Obligation; with just one year left on the clock, this has required plenty of innovation in gear technology, as well as out-of-the-box thinking on management options (such as this excellent advice from the North Sea Advisory Council, to which EDF’s Erin Priddle contributed). 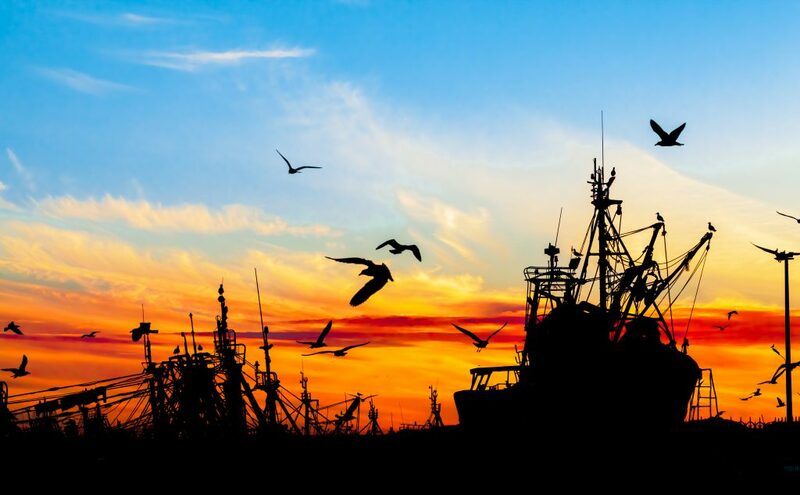 Meanwhile, fishermen, scientists and NGOs in the UK are working determinedly to ensure that sustainability will be ‘baked in’ to the UK’s management model when it comes to fishing – and advocating strongly for science-driven approaches, accountability and flexibility. We’ve been busy making the case for robust, durable UK quota management and advocating that climate-proofing policies are incorporated in any new fisheries policy. Our role on the Greener UK alliance for post-Brexit environmental policy will help in these pursuits. We must always base our management decisions on science. At EDF, all our work is rooted in evidence. I am privileged to work alongside world-class scientists and economists, and to be able to call upon colleagues world-wide with vast knowledge of fisheries practices in the field. This year in Spain we have been working with our partners at WWF, along with local NGOs and fishermen, to introduce innovative, science-based methods for assessing and managing small-scale fisheries when data are scarce – building on four years of work in the region to support communities in defining and shaping their own resource management. Excitingly, this approach is bearing fruit not only in other Spanish fisheries, but in other nations – in 2018 we’ll be exploring prospects for a similar pilot in Portugal, hand in hand with local fishing communities and NGOs. Just last week, we launched our Virtual Fisheries Academy in Spanish – enabling us to share free fishery management training with an even wider audience in Europe. Putting fishermen at the heart of management reaps dividends. It has continued to be a pleasure to work alongside fishermen in Europe; they will always be at the heart of fishery management reforms supported by EDF. 2017 has been the first year for implementation of the new demersal rights-based management system in Sweden. Our partner, the Swedish Fishermen’s Producer Organisation (SFPO) led a two-year collaborative process bringing together fishermen and the Swedish government to craft a workable system designed to support fishermen in meeting the Landing Obligation while protecting both small and large-scale fishing businesses in the long-term. We’ll be taking a close look at the impacts after one year of the new measures being “on the water” in Sweden, and will be reporting back on progress later this year. Watch this space! This entry was posted in Europe, International, Policy, Science/Research and tagged Climate change, Management, resilience. Bookmark the permalink. Both comments and trackbacks are currently closed.